Once the drilled out holes have been smoothed with acetone, it's time to "reverse paint" the blanks. 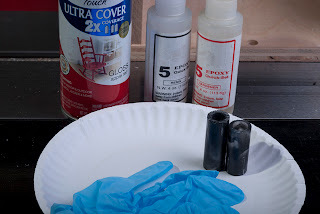 Reverse painting a blank is to paint the inside of the drilled hole, as opposed to painting the tubes that go inside. 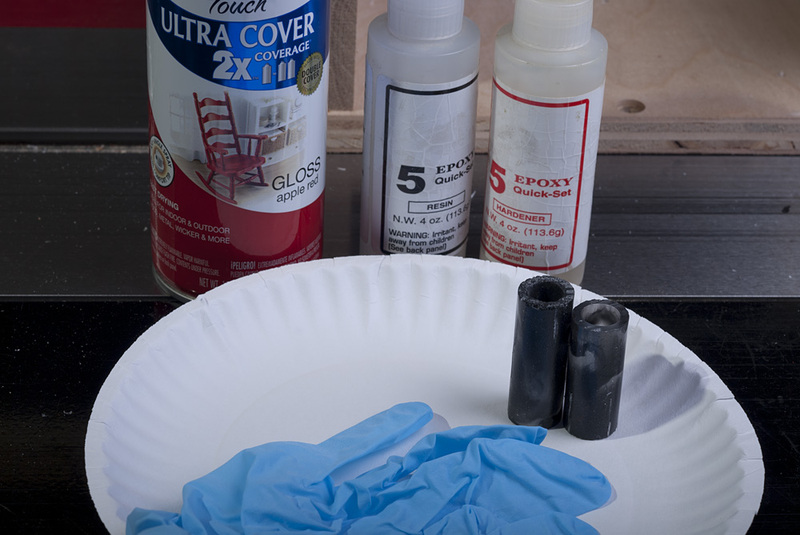 Reverse painting avoids problems like glue showing and color/texture changes at glue boundaries. 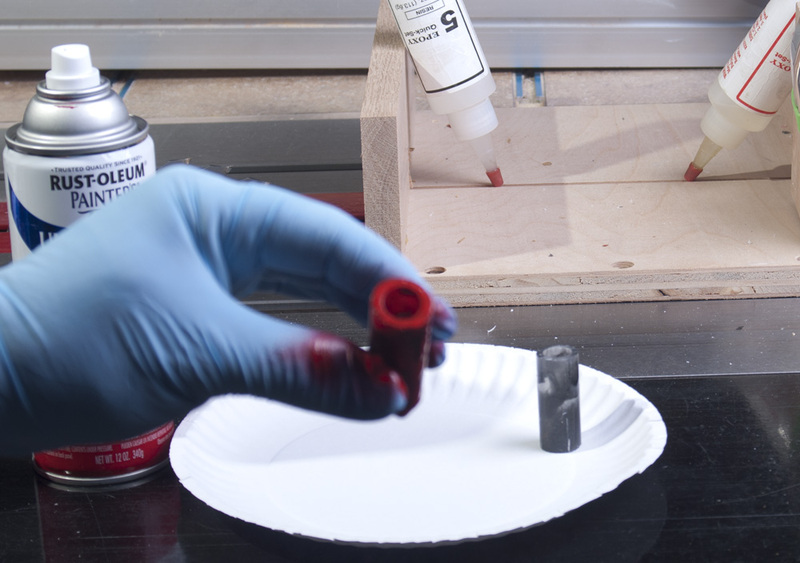 In the first photo you see some red spray paint, two part epoxy glue, and nitrile gloves. I hold the blank in my hand while spray painting, and hate getting paint on my hands. The gloves are awesome. I generally apply two coats 30 minutes apart. that's enough time to make the first coat sticky. One coat would probably be OK, but you won't know if there's a problem until AFTER it is turned and polished, and the pen is ready to be assembled. That's too late to fix it easily. I'd rather be safe than sorry. Once painted, the blanks will rest for 24 hours to allow the paint to cure. 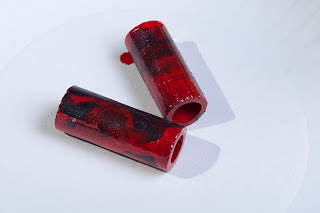 If the paint doesn't cure fully, it can come off when inserting the tube. So be patient!